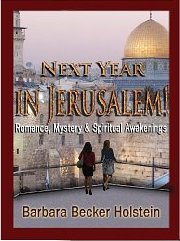 Natalie and Maggie, best friends since college, find themselves in the romantic, mystical and intriguing city of Jerusalem when Natalie’s husband, David, takes a short sabbatical there. The appearance of Jack, a diamond dealer and Natalie’s old boyfriend from college, creates tension and arousal for Natalie. Will she do things she will come to regret? Maggie meets Jack’s friend: tall, dark and handsome. What about her boyfriend back home? 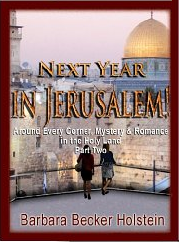 Continue the drama in Part 2 in this Trilogy of Romance Books as Natalie and Maggie, best friends since college, find themselves steeped in the romance, mysticism and mystery of Jerusalem. The appearance of Jack, a diamond dealer and Natalie’s old boyfriend from college, creates incredible tension and arousal for Natalie. How can see keep her marriage intact? Maggie is mesmerized also by a new man in her life: Raji from India. The mystery woman, Chaya Sarah, continues to share profound spiritual wisdom. Teaching Natalie the concept of ‘soul mate’ helps Natalie revive her marriage, at least for a night. 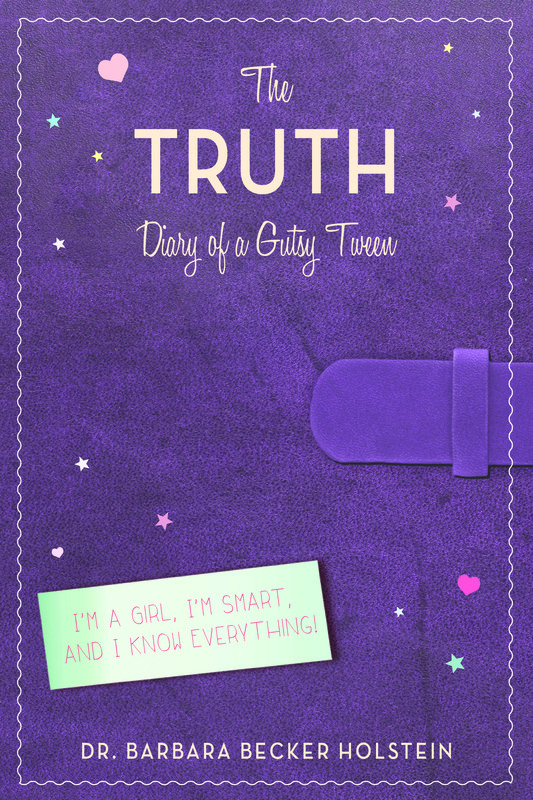 THE TRUTH: I’m a Girl, I’m Smart and I Know Everything! 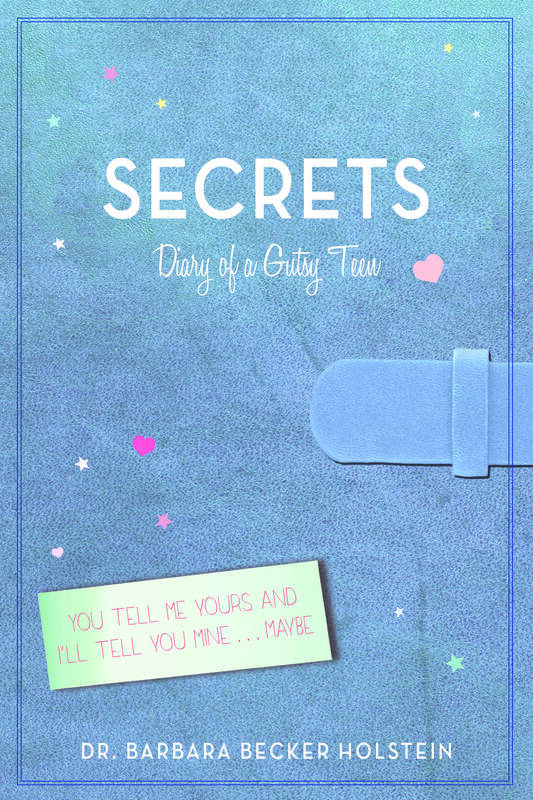 Secrets: You Tell Me Yours and I’ll Tell You Mine…maybe! Following on the heels of the best-selling book, The Truth, SECRETS is the continuing diary of a girl moving into her teen-age years. The Girl has plenty to fill her journal. The pages reveal a new school, a new baby in the family, new friends, a new guy and a new set of issues to face. Share the secret world of an almost-teen as she learns which secrets to share and which to keep to herself. Dr. Barbara’s groundbreaking first book! Through my work as a therapist, I have become concerned that we do not keep clearly enough how to reclaim what is positive about ourselves. This led me to write my book, The Enchanted Self, A Positive Therapy, published in 1997 by Harwood Academic Press. This book was probably the first and only book for mental health care providers and the interested public, to lay out the tools necessary to create a positive mind set and live an affirmative and affirming way of life! I used the case study approach, based on interviews with 18 women who were not in my practice, notes on some of my own clients, and reflections on my own life to document the capacities each of us has to experience. I call this process The Enchanted Self, A State of Well Being, Joy, and Happiness. In the book, you will learn how to separate positive reflections of your past from dark, destructive memories, and to reclaim and recreate the good feelings that went with these experiences. There Comes a Time in Every Woman’s Life for DELIGHT! Showing Women How to Come Home to Themselves Are you a woman looking to grow? Are you looking to have adventures? Are you ready to know the best parts of yourself even better? Are you interested in experiencing joy on a daily basis? If so, Dr. Holstein’s brand new paperback book: There Comes A Time In Every Woman’s Life For…DELIGHT is for you! This book takes you on Dr. Barbara’s joy ride of coming home to herself and makes you a partner in the experience. You will laugh, cry, feel uplifted, connected, and certainly fill up with insights about yourself! She shares her adventures of reclaiming her life, emphasizing the energy, magic and joy of returning to her heritage and the benefits gained from the spiritual and emotional infusions she received. She shares her very personal stories and wisdom in ways that help the reader understand that we all come home to something very different, and for some of us, not even what we were born into. The important thing is to come home to ourselves! DELIGHT on multimedia CD-Rom is filled with emotional and delightful reminiscences that will charm you even as you are inspired to begin thinking of your own ways to bring delight into your hearts. Recipes for Enchantment, The Secret Ingredient is YOU! is a culmination of over ten years of work and research in the field of personal enchantment by Dr. Barbara. She teaches us how to recall positive memories, regardless of our history, recognize our potential, and bring into our lives more of what gives us pleasure and joy. This is all combined with daily positive actions. A joy to read, you will learn how to “cook up” delicious days for yourself and create a “Recipe for Enchantment”. This is a breakthrough book combining psychology/self-help with inspiration. Psychology/self-help activities are beautifully interwoven with inspirational stories that teach the most basic recipe: incorporate within our daily life positive actions, combined with our unique positive thoughts and feelings! The rest will take care of itself as if by magic! Come meet two street children from Brazil who profoundly influenced, for the good, a sophisticated American woman. Read about Sal, a soldier suffering from an almost fatal wound, miraculously saved by love letters. Meet Joey, a young boy so sick with cancer that his family was losing hope, whose condition dramatically improved when a teacher simply did her job. You will meet all these people, and many more, in Recipes for Enchantment. Their stories will inspire you. They will help you realize that by acting in positive ways, we can all make a difference. Lift your spirits and the spirits of those you love with the best ‘Feel Good” book you’ve ever read! Feel Good Stories really do make you feel good. 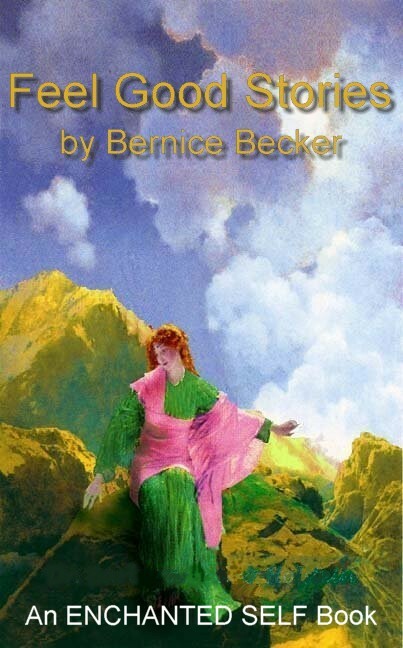 Author Bernice Becker, age eighty-four, takes you through her life, from before she was born to her retirement days at Reed’s Landing. As you accompany her through the foibles and adventures of growing up, marriage, teaching, and retirement, you’ll find yourself laughing, crying, and delighting in the adventures of being alive. Who could resist a chuckle when you discover that little Bernice was not shot in the movie theatre! Who could not laugh aloud when you read her adventures in a ritzy department store, how she handled her underwear falling down. And who could not applaud her courage and stamina when, as she turns eighty, she competes in a talent pageant. They’re all there, with many other wonderful, easy-to-read, compelling “Feel Good Stories”.